Happy Friday! 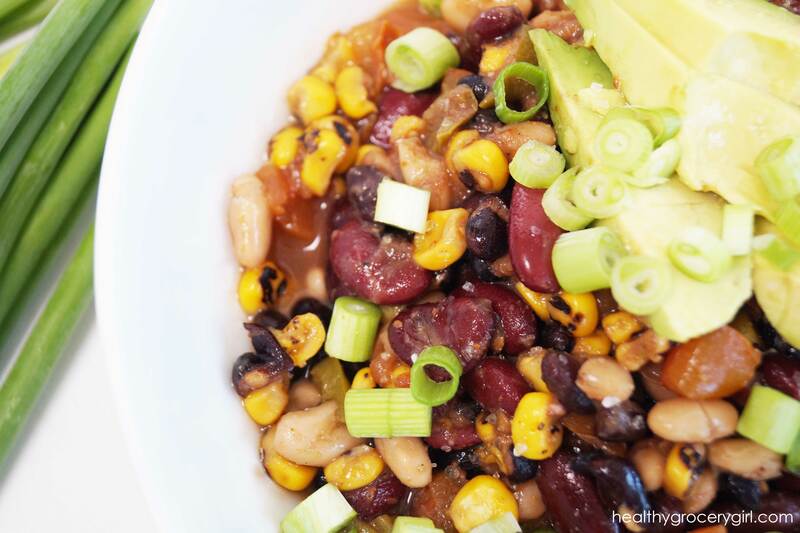 Today I am sharing with you how to make a Three Bean Veggie Chili in the slow cooker. I love a bowl of warm chili on a cool Fall evening! I use beans as our main protein source in this dish. 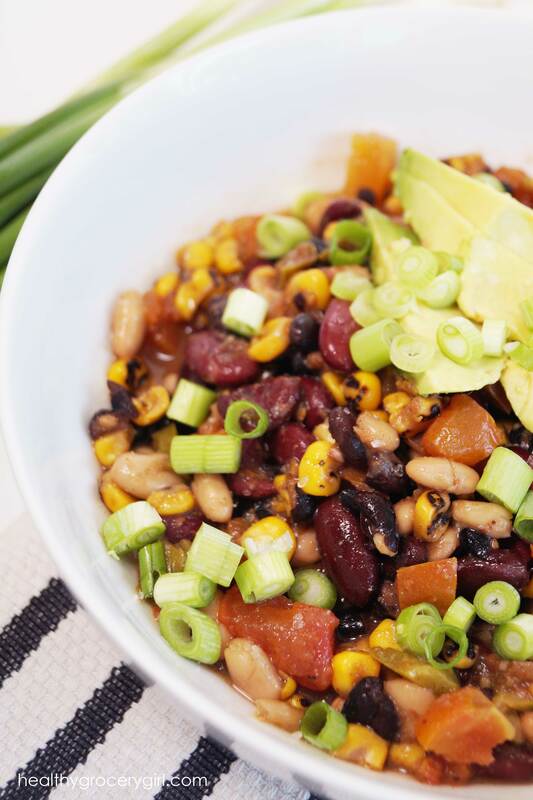 Not only do beans provide protein they also provide fiber, vitamins and minerals! I also love to add vegetables into chili, soups or stews such as tomatoes, bell peppers and corn. It’s a great way to consume more veggies throughout the day and this adds color and texture to the meal. You can watch today’s Healthy Grocery Girl Show episode below to see how I make this dish! Happy Fall!